Maybe "Fly the Friendly Skies" isn't a great fit for the airline anymore. Executives usually stop digging. However, United Airlines CEO Oscar Munoz may have made his company’s reputation crisis worse late Monday when he described a passenger who was forcibly removed from a flight as "disruptive and belligerent" in an email to staff. Munoz said United "followed established procedures" and told employees, "I emphatically stand behind all of you" in the note, according to CNBC. Just two weeks after the #LeggingsGate crisis, United drew a fiery social media backlash on Monday after video emerged of law enforcement personnel violently dragging a passenger from his seat on a flight to Louisville, Kentucky, from Chicago. United’s latest crisis is also making waves on the other side of the Pacific. The incident has prompted an outcry in China, where state media outlets have reported the man dragged from the flight is of Chinese descent. Closer to home, Funny or Die mocked the airline’s "Fly the Friendly Skies" motto, and #NewUnitedAirlinesMottos was trending on Twitter on Tuesday morning. The incident could have serious implications for the airline beyond damaging its reputation. 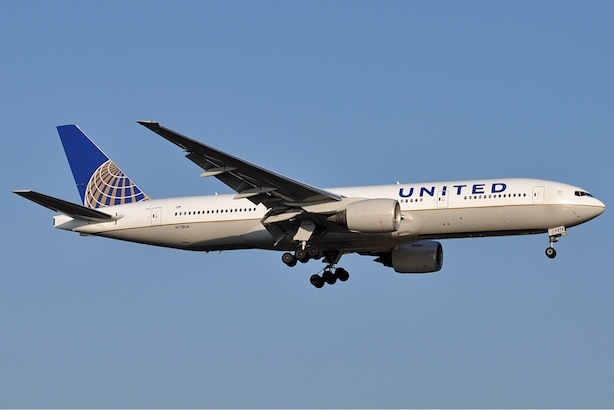 Shares of United Continental Holdings were down 5% in pre-market trading on Tuesday morning, meaning a drop that steep at the opening bell could wipe out $1.1 billion from its market capitalization, according to MarketWatch. President Donald Trump is set to meet with a who’s who list of top American CEOs to build support for his legislative initiatives like infrastructure spending and tax reform. The top executives from IBM, Wal-Mart, and General Motors are scheduled to sit down with Trump, according to Fortune. In twice-delayed financial results, Toshiba said its future is murky as it reported a loss of $4.8 billion for the period from April to December. The company’s U.S. nuclear unit, Westinghouse, went into Chapter 11 bankruptcy protection last month. Toshiba’s auditors did not approve the financial results, according to the BBC.